Justice for Shelby maher and Rachel Murphy . The convicted driver. 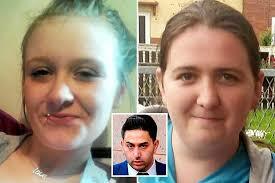 (Mohamed salman Patel ) is appealing against his conviction and sentencing for the killing of our 2 girls Miss Shelby maher (17) and Miss Rachel Murphy (23) at brockholes brow Preston on the 20th of April 2016 (driving whilst using his phone ) Mohamed salman Patel made his appeal at Preston crown court Lancashire on Monday 24th September 2018 both families are seeking the public’s support against his appeal and for his too lenient sentence (6years) on which he will just serve 3 years ‘in effect 1.5 years for each life he has taken’ This has come at a time when both families are still trying to come to terms with their loss .please sign our petition and support us for this grave injustice.thank you justice for Shelby and Rachel. Update The Court was also told Before Sentencing. That Mr Patel has a previous conviction of using his phone while driving. and had penalty points incurred on his driving licence. By signing, I authorize brian.turner@ucd.ie to hand over my signature to those who have power on this issue.